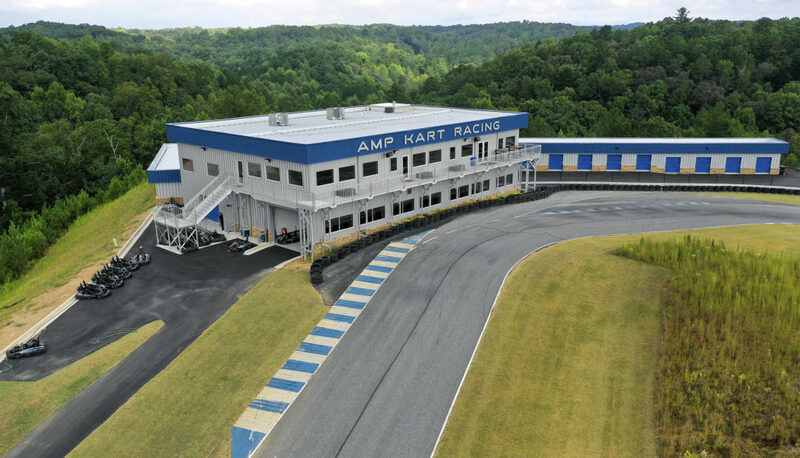 Albion recently complete a state-of-the-art, new Kart Racing Centre for Atlanta Motorsports Park in Dawsonville, Georgia. 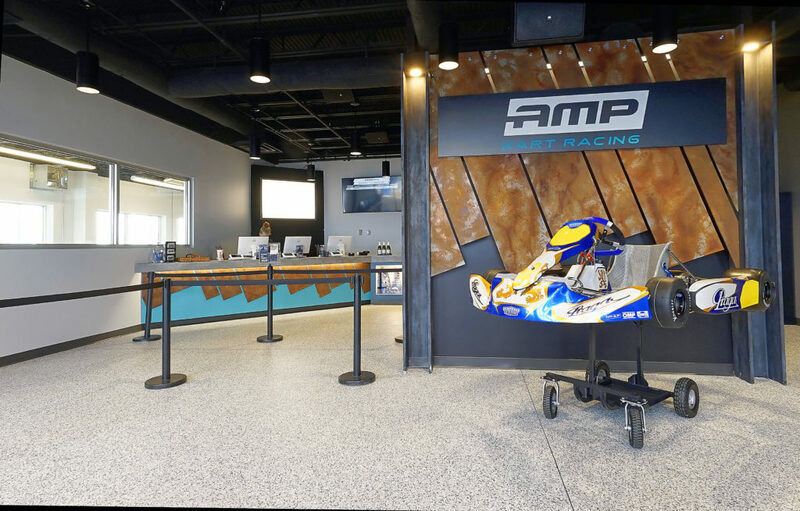 This world class building includes a kart retail and service center, viewing deck, covered pit lane area, entertainment space and members’ lounge. Additionally, there is a cafe and meeting suites. The multi-million dollar facility has a wrap around deck with a unique viewing space. 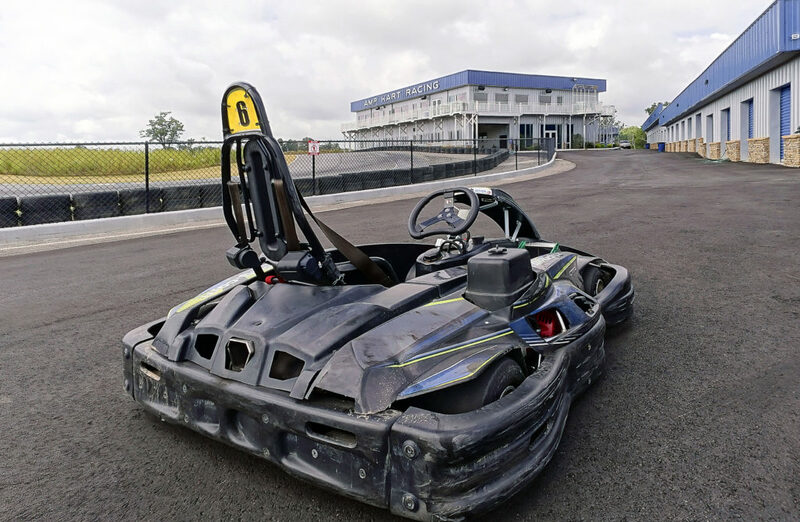 The new facility allows racers to hang out in the climate-controlled rooms as well as getting staged in their karts pre-race. 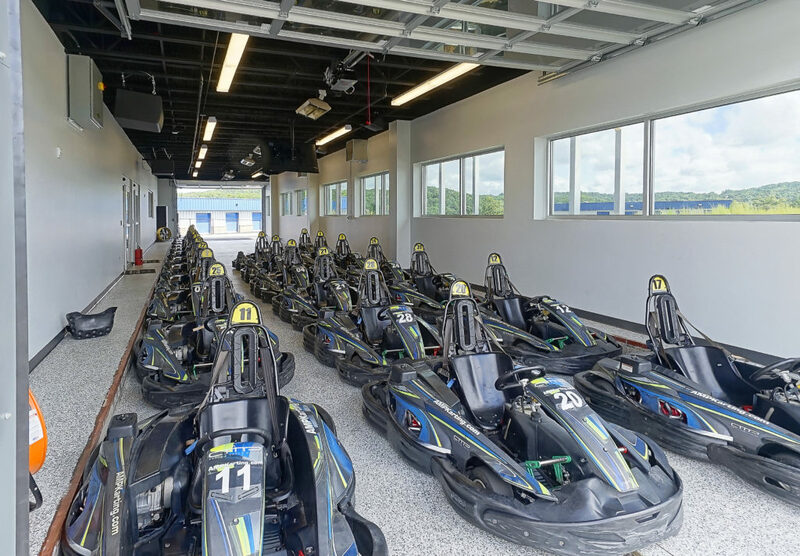 With the addition of this new facility, Atlanta Motorsports Park offers a next-level experience both on and off the track. Albion also constructed AMP’s Trackside Business Center in 2015. The new 20,000-square-foot clubhouse nestled in Dawsonville, Georgia provided panoramic views of the track, as well as offices, conference rooms, show rooms and a snack bar. The two-story clubhouse was completed on time, within budget and with an exceptional safety record, all despite severe weather delays. With construction taking place during some of the worst rains and flooding Atlanta has seen in recent memory, Albion’s hyper-focus on project management and the project timeline kept this clubhouse construction running smoothly. The firm’s commitment to value-engineering throughout construction resulted in several opportunities for cost-savings and a satisfied building owner. Congratulations to the entire project team on a job well done and another success at Atlanta Motorsports Park. Thank you to Bob Hughes at Brilliance Photography for the stunning photos.